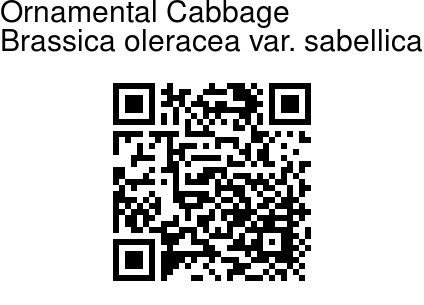 Kale or Ornamental Cabbage is a form of cabbage green or purple, in which the central leaves do not form a head. 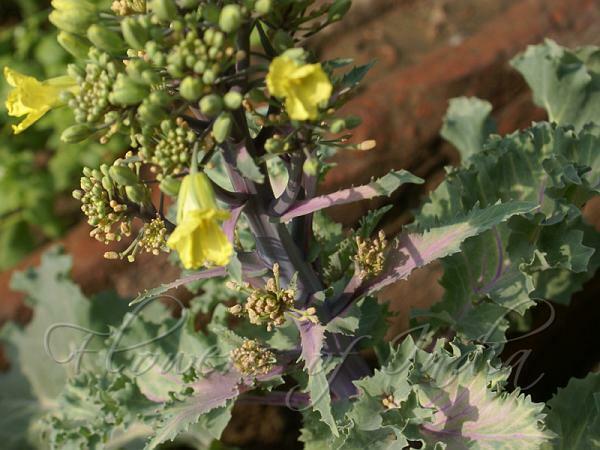 It is considered to be closer to wild cabbage than most domesticated forms. Flowers are yellow, like many other plants of the Mustard family. The species Brassica oleracea contains a wide array of vegetables including broccoli, cauliflower, collard greens, and brussels sprouts. Kale was cultivated very early in ancient Greece and Rome.